Laurette Folk's fiction, essays, and poems have been published in upstreet, Waxwing, Literary Mama, Flash Fiction Magazine, pacificREVIEW, Boston Globe Magazine, among others. Her novel, A Portal to Vibrancy, was published by Big Table in June 2014 and won the Independent Press Award for New Adult Fiction. Totem Beasts, her collection of poetry and flash fiction, was published by Big Table in May 2017. She is a Best of the Net and Best Small Fictions nominee, graduate of the Vermont College MFA in Writing program, and teaches writing and literature at North Shore Community College. Check out her blog “Meditations and Reflections at www.meditationblog.blogspot.com. For more information please visit www.laurettefolk.com. Jennifer Martelli's debut poetry collection, The Uncanny Valley, was published in 2016 by Big Table Publishing. She is also the author of the chapbook, Apostrophe and the chapbook, After Bird, from Grey Book Press. Her work has appeared in Thrush, [Pank], Glass Poetry Journal, The Heavy Feather Review, and Tinderbox Poetry Journal. 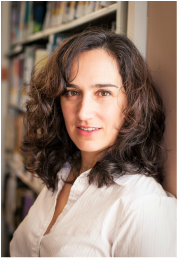 Jennifer has been nominated for Pushcart and Best of the Net Prizes and is the recipient of the Massachusetts Cultural Council Grant in Poetry. She is a book reviewer for Up the Staircase Quarterly, as well as a co-curator for The Mom Egg VOX Folio. Jennifer is the Poetry Editor for The Compassion Anthology.